The Manu National Park and the Historic Sanctuary of Machu Picchu are the best natural scenarios and both are World Natural Heritage Sites. Diverse range of climates and ecosystems from the highlands Andean mountains to the upper jungle - high rain forest area, hundreds of endemic species of flora and fauna; orchid spotting, a paradise for bird-watching specially in Abra de Málaga. Natural & Cultural World Heritage Site (UNESCO-1983). The park was established to protect the landscape of the renowned Machu Picchu archaeological site, founded by the Inca culture. It is thought that it was a royal Inca residence and was perhaps the centre for collecting coca from surrounding plantations. The site eventually fell into ruin, was covered by the encroaching forest, and "lost to science" until re-discovery in 1911. 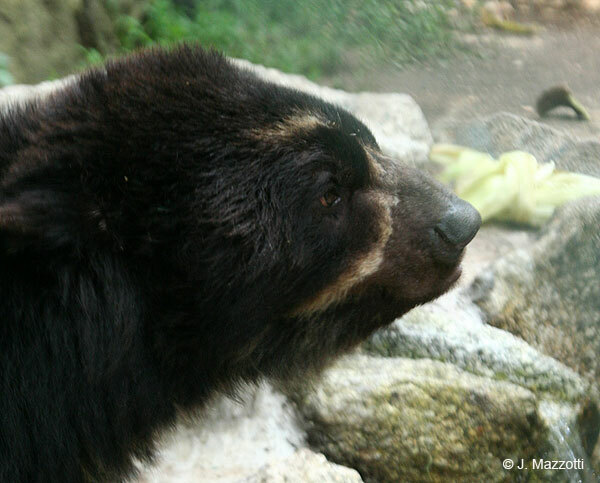 There are also the remains of the Qhapaq Ñan (Incas’ road net) in the area, and local legends, including that of the spectacled bear, which is thought to serve as a messenger between the spirits of the high elevations and those of the jungle. 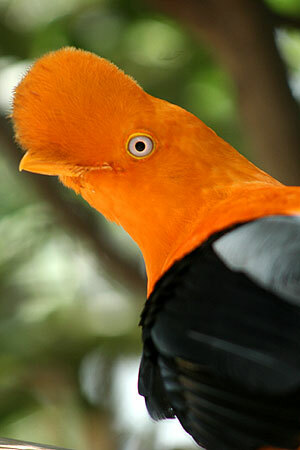 The best wildlife destination in the Peruvian Amazon rainforest. Manu Biosphere Reserve, considered as one of the biggest and richest natural reserves in the world, the one that allows having intimate contact with nature in its most primitive and wildest state. The Manu National Park is the largest protected natural area of its kind in Peru. Spreading across the departments of Cusco and Madre de Dios, the park covers the entire Manu River watershed. The park is located in the provinces of Manu and Paucartambo, comprising lands on the eastern slopes of the Andes and the Peruvian Amazon. The area is situated within the Amazon River basin and protects almost the entire watershed of the River Manú and most of the tributaries of the River Alto Madre de Dios. Alluvial plains are found along the rivers where sediments may be deposited on a seasonal basis. The hills occupy the lowlands between the rivers and are relatively small with slopes, forming an undulating topography, which covers much of the park. The town of Atalaya is situated 280 Km (174 miles) from the city of Cusco taking the Cusco - Paucartambo Highway (12 hours by 4x4 vehicle). The trip continues on the river to the town of Boca Manu (7 hours). Then, you have to navigate again on the Madre de Dios River to arrive at the park. It is also possible to get to the town of Boca Manu taking a small airplane from Cusco (45 minutes). Today, 30 Quechuan speaking farming communities are spread throughout the Manu National Park as well as numerous Amazonian native peoples such as the Matsiguenka, Amahuaca, Yaminahua, Piro, Amarakaeri, Huashipaire, and Nahua. Although no one is allowed to enter, visitors can stay in authorized lodges in the Reserved Area and in the Cultural Zone adjacent to the park. The special characteristic of the jungle of Madre de Dios department is due to masses of cold air coming from the southern Atlantic, during the months of June, and they originate an abrupt descent of the temperature, reaching 5°C or less. This eventual meteorological phenomenon is denominated, in the area, as the "friaje". This situation, in the evolutionary process during hundred-thousand years, originated the disappearance of many species of reptiles, because of being of cold blood, and when existing less predators, and the adaptation of others, it is already allowed the subsistence and evolution of species missing in other places of the earth, inclusive in the Amazon area. Existence of animal species and unique vegetables in their gender. These forests still have many places to discover and also many unknown species alive for the science. Vegetation: With a park the size of Manu, with a wide range of altitude, vegetation varies widely, however the most widespread vegetation types found are tropical lowland rainforest, tropical montane rainforest and Puna vegetation (grasslands). The lowland forests occur on the alluvial plains and the interfluvial hills. Those on the hills may experience seasonal water supply, given the monthly variation in rainfall, while the forests on the alluvial plains are likely to be seasonally flooded. The montane forests experience less variation in the water supply and are exposed to lower temperatures. Fauna: A total of more than 800 bird species (Saavedra, 1989) and 200 species of mammals has been identified, 500 birds alone from the lowland forests around Cocha Cashu Biological Station, and the check lists of Terborgh, Janson and Brecht (1984) give habitats, foraging position, activity (sociability) and abundance for all birds and mammals found up to 1982. The bird species found in Manu represent 25% of all the birds known in South America and 10% of all the species in the world and it is thought that there may be as many 1,000 bird species in total. According to Renton (1990), six species of macaw occur in the lowland forest, Ara ararauna, A. chloroptera, A. macao, A. severa, and A. manilata. Three Endemic Bird Areas are represented within the park, the South-east Peruvian lowlands (B30), home to 15 restricted range species, the Eastern Andes of Peru (B29), with 11 restricted range species, and the Western Andes of Peru (B27) with 30 restricted range species (ICBP, 1992). There are 13 species of monkey, and it is estimated that there are over 100 species of bat. There are also 12 species of reptiles within 7 families (UNA-CEPID, 1986), and 77 species of Amphibian from fire families are known for the Cocha Cashu area (Rodriguez, in press). To enter the park, prior authorization from SERNANP is required. Natural World Heritage Site - UNESCO: This huge 1.5 million-ha park has successive tiers of vegetation rising from 150 to 4,200 m above sea-level. The tropical forest in the lower tiers is home to an unrivalled variety of animal and plant species. Some 850 species of birds have been identified and rare species such as the giant otter and the giant armadillo also find refuge there. 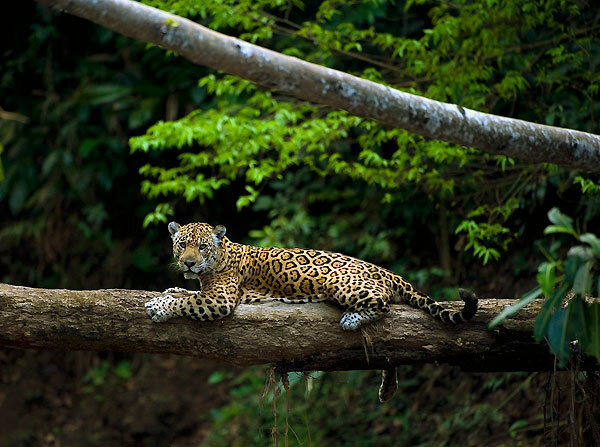 Jaguars are often sighted in the park. It is absolutely unnecessary for you to learn their scientific names because there are more than 3,500 species distributed among 240 genera. But we definitely recommend remembering that almost 800 of them can be found no where else in the world since they grow only in Peru, some even at altitudes of 4,500 m.a.s.l. (14,760 f.a.s.l.). Such wealth is explained by the amount of ecosystems existing in the country, a guarantee for the presence of hundreds of different forms, sizes and colors. You may want to write down on your trip diary the following name: Phragmipedium peruvianum, which has become Peru's representative orchid. It is believed there are some 350 native species in the Historic Sanctuary of Machu Picchu. More than a hundred of these may be easily seen in these orchid trails, in their natural habitat. The Orchid Inca Trail, from Km 88 in Qoriwayrachina to Km 95, following the Vilcanota River downstream on its left bank. This is considered to be one of the richest trails in terms of orchids, but has the additional benefit of supreme views of the Vilcanota River with its rapids and oases; along the river banks there are paradisiacal trees wrapped in tendrils, luscious orchids and archaeological sites. Up to 30 types of orchid can be seen here, including the Masdevallia veitchiana, the Symbolic Orchid of the Historic Sanctuary. The trail leads towards Machu Picchu, avoiding the high part of the Inca Trail. The hike to the Wonder of the World lasts for 3 days. On the traditional Inca Trail, tourists walk through several ecological floors, from the high grasslands to the high jungle, passing through various archaeological monuments. In the Wayllabamba area, tourists can admire a series of orchids, which is not as varied as the Inca Trail but also holds singular beauty. 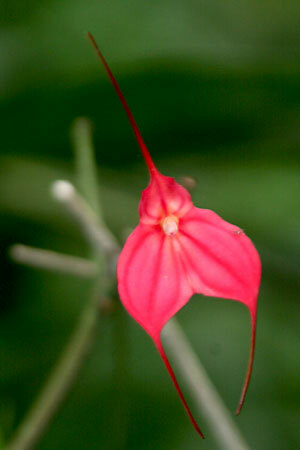 Tourists can see the Odontoglossum sp, Masdevallia veitchiana, Platystele oxyglosa y Epidendrum sp., and others. 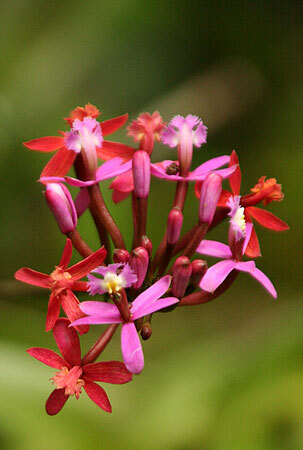 In Wyñaywayna, tourists can appreciate the Epidendrum, Prosthechea and Tepogos. The hike to Machu Picchu lasts for 4-5 days.